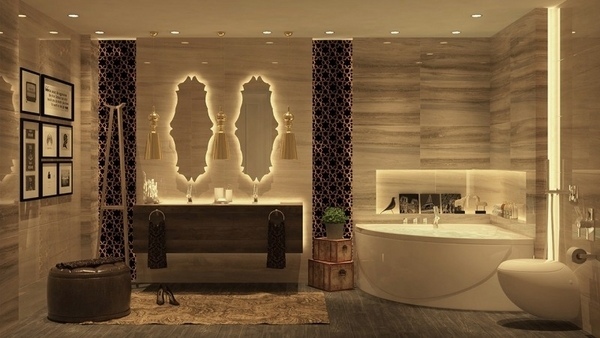 Backlit mirror design ideas come in a variety of shapes, sizes, and such a mirror is one of the best solutions for the bathroom interior design. 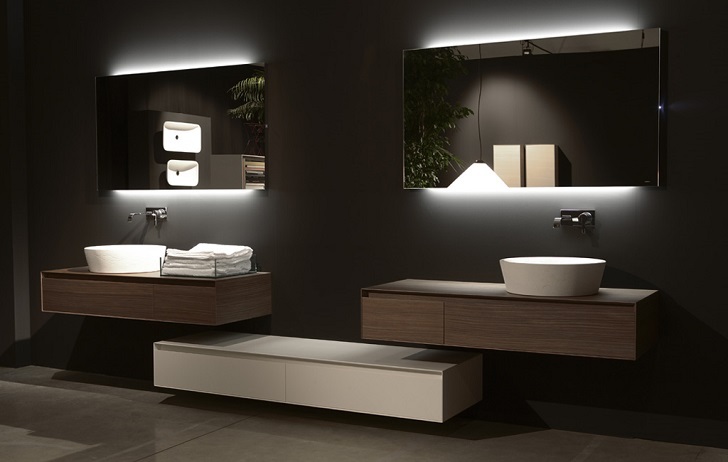 To almost everyone, the morning starts in the bathroom as and this is the place that we visit before going to bed. 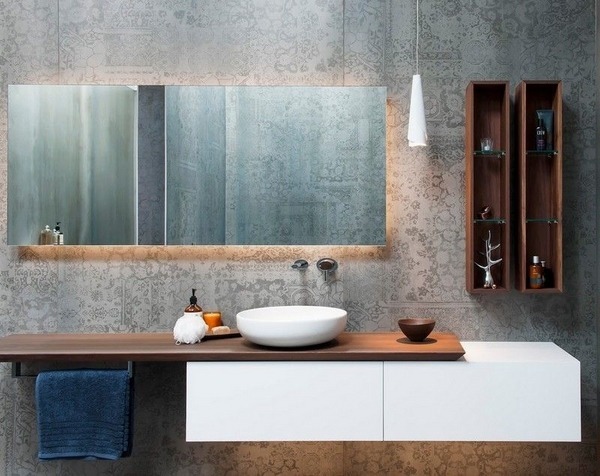 When it comes to choosing a mirror for the bathroom one would think that there are not so many options, as this is simply a functional piece of furniture having one main purpose – to provide a view of ourselves. 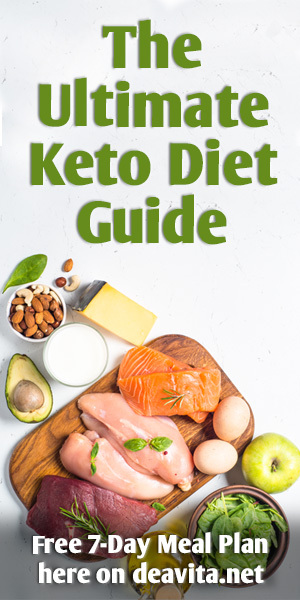 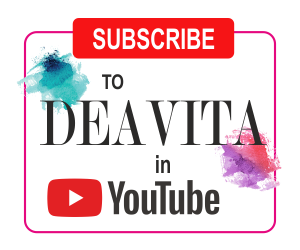 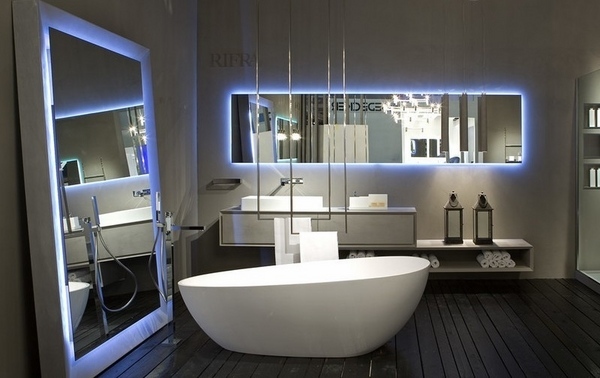 However, if you visit a store you will be amazed with the numerous options that you can choose from – from the simplest shapes and reflective surfaces to unique designers bathroom mirrors, with or without lighting, with different types of lighting, framed or not framed, etc. 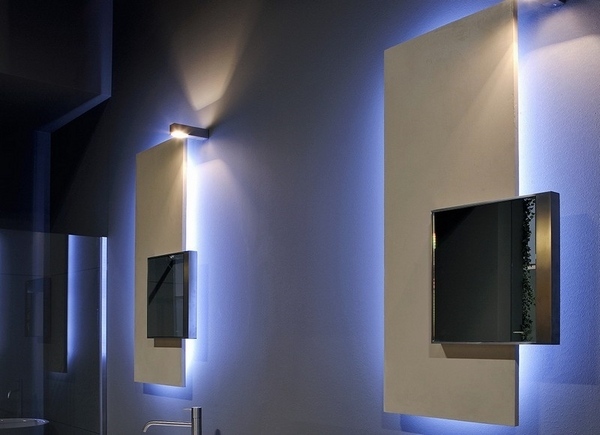 We selected some unique backlit mirror design ideas which are not only a practical necessity, but also a decorative element in a contemporary bathroom and add a touch of brightness and brilliance to the design. 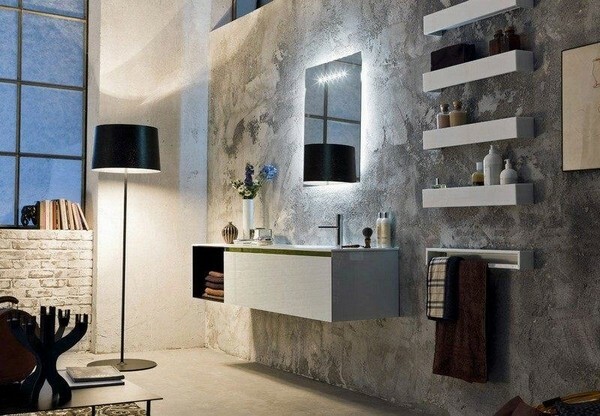 A backlit mirror is the perfect solution for a small bathroom – it can illuminate the entire room while giving it a modern and stylish look. 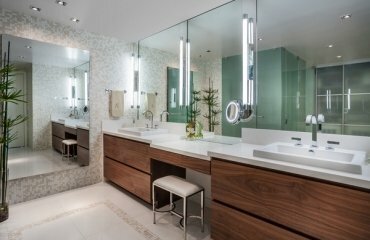 Yes, the bathroom will seem larger, when using a backlit bathroom mirror as an accent, but the mirror itself is also an extremely functional accessory. 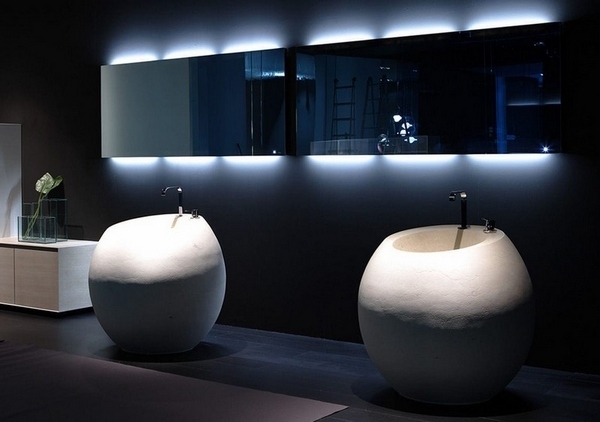 Several models are available – round mirrors are ideal for medium-sized rooms with a column sink or a vessel sink and rectangular countertops. 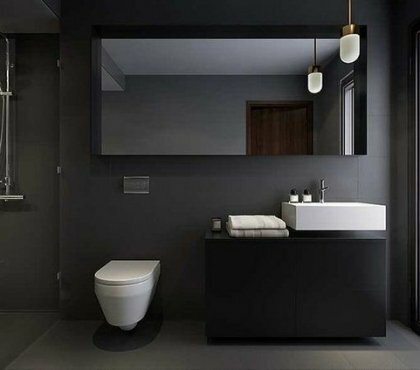 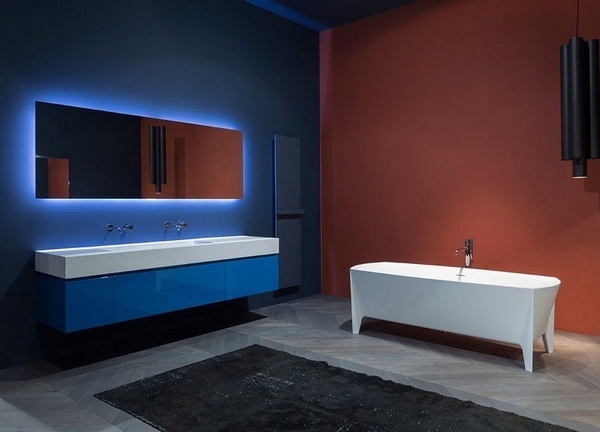 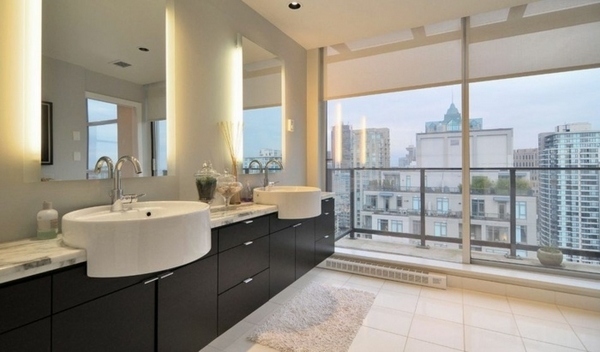 Rectangular models fit perfectly into large bathrooms with a set of modern floating vanity cabinets, cabinets without handles or glossy black and white tiles. 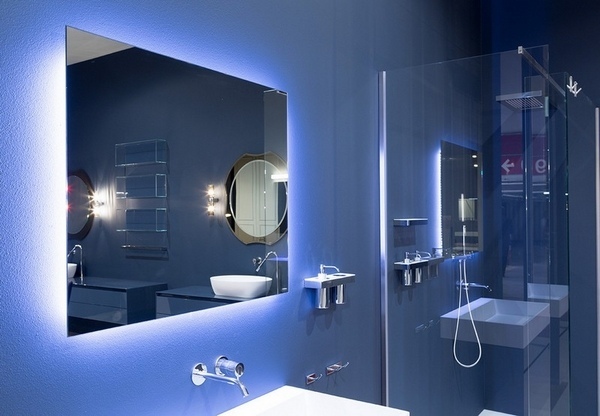 A backlit mirror is one of the most spectacular items in the interior, as it not only expands the space by reflecting objects, but also reflects the light – natural or artificial. 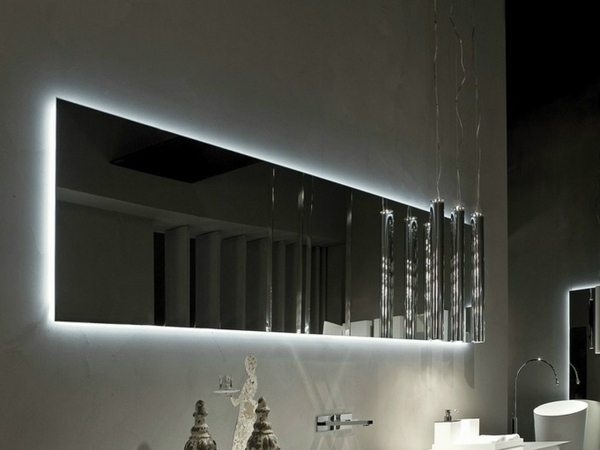 Backlit mirror design ideas are a great complement to any contemporary bathroom. 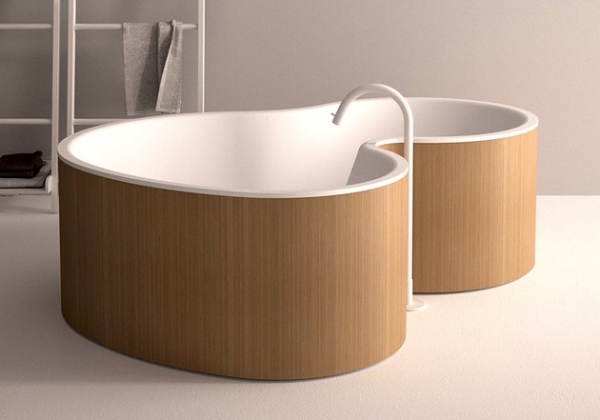 The large number of manufacturers provides numerous designs and choices. 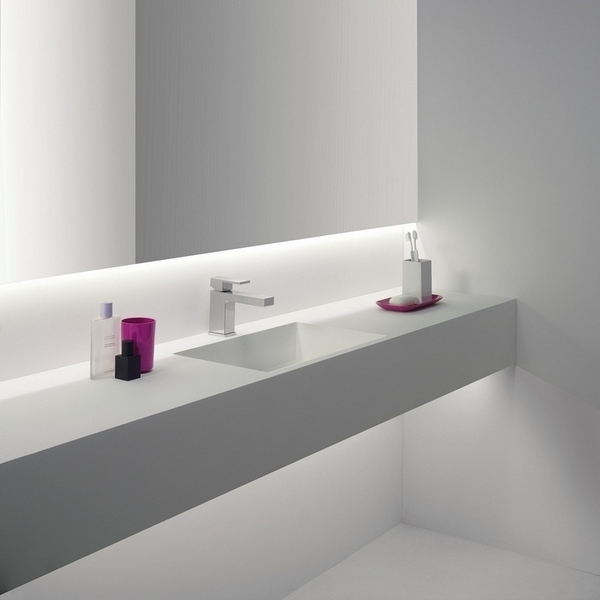 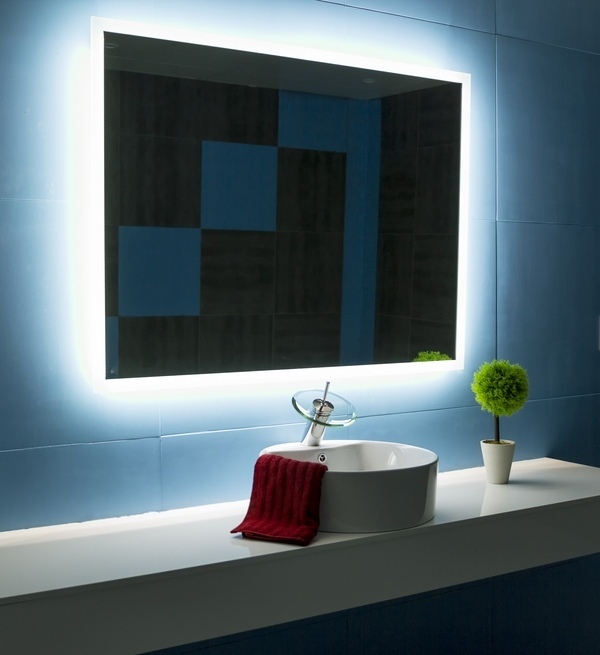 Backlit bathroom mirrors can be illuminated by LED lights or strips attached to the back of the mirror, and most designs meet the requirements for moisture resistance, as any lighting in the bathroom. 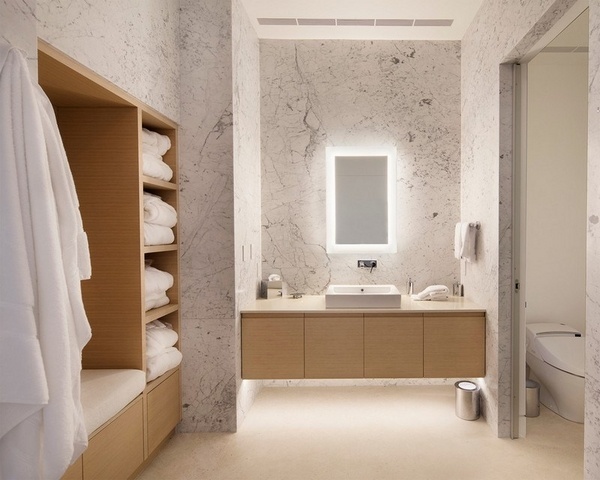 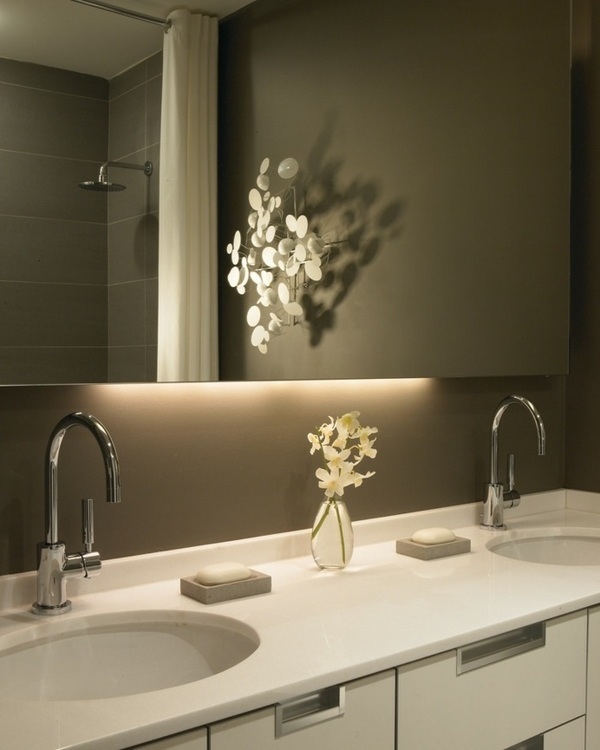 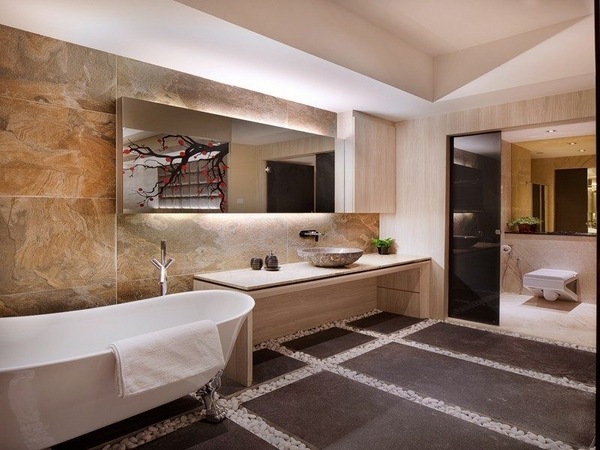 Backlit mirrors ideal for creating ambient lighting in the bathroom and they work harmoniously with any other type of lighting – ceiling light, wall sconces, etc. 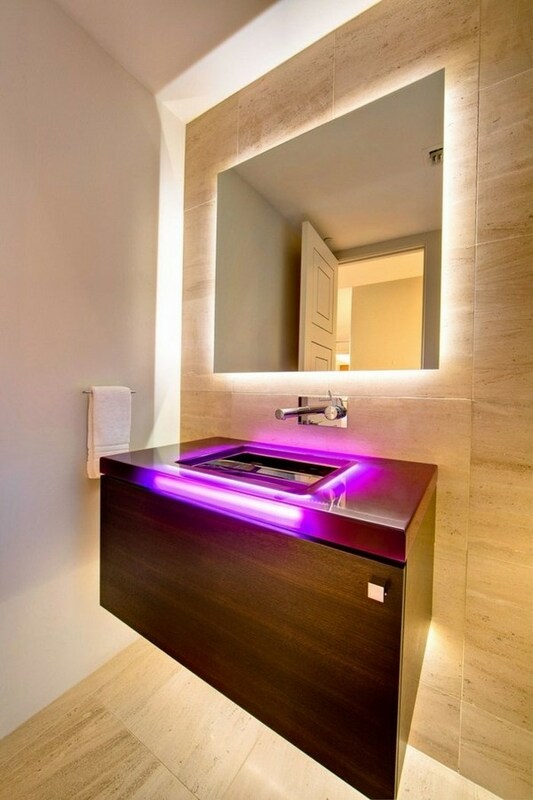 and you can design a real symphony of light in your bathroom. 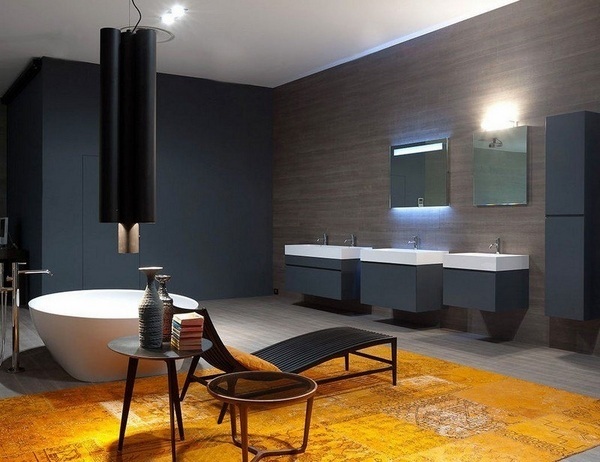 Experiment with color and light accents to create a romantic atmosphere or an atmosphere of high end style and elegance. 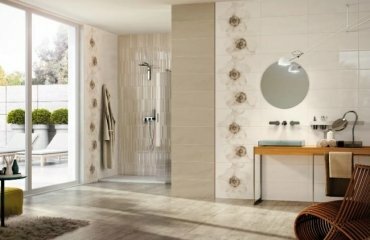 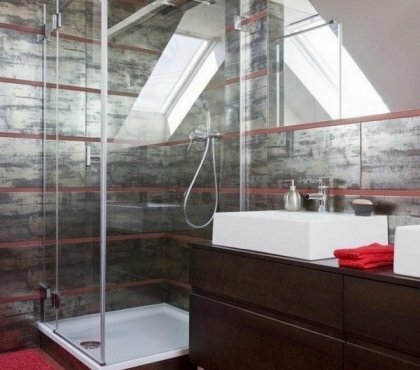 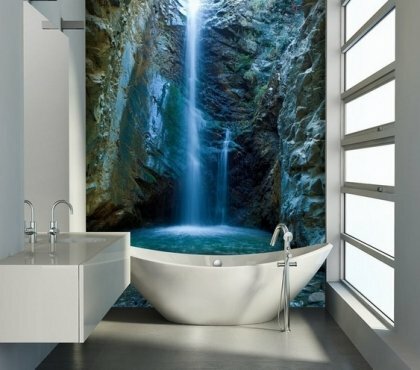 Combine functionality with modern technology and you will have the bathroom of your dreams.